Family hotels should be quirky. How’s this for quirky? A waiter at dinner in plus-fours, a bath shaped for an astronaut and a bedroom with the feel of a cabin in an ancient sailing ship? Such an abundance of interesting objects encouraged me to wander – and thus I came across the kiddies’ room (complete with tiny desks with inkwells – I suddenly felt very young again), the fitness centre and swimming pool (my true age returned), the cheese cellar, the wine-tasting room and the comfy little cinema (showing a different film every night). Extraordinary. But no more extraordinary than room number 208 (£180 a night for two). We have all seen those films about 18th century sailing ships. Think of the captain’s cabin – low and full of wood. Well, here it is, incarnated as room 208 of the Bellevue Hotel. Dark, rustic, ancient wood is everywhere. The floor is wood, the ceiling is wood, the walls are wood, the cupboards are wood, the beds are wood (although with very comfortable mattresses, which are electrically adjustable), the dresser is wood and the table and chairs are wood. Also somehow nautical are the three spy holes, from the bathroom to the bedroom, from the bedroom to the sitting room and from the sitting room to the dressing room. From the two windows is the glorious mountain view. Will it ever be spoiled? No, it will not. 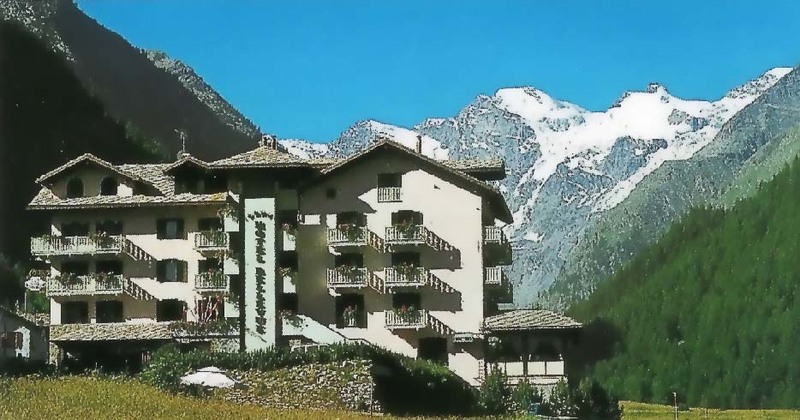 A year after the hotel was built, further development in the valley was officially banned by the Italian government. So the Bellevue is a lucky hotel. But what of the bath? It was the oddest tub I have ever encountered in my travels. My first problem was to lower my frame into the thing. Once in, the angle of my recline made me feel as if I was just about to set off for an outer galaxy. Certainly, I must have looked as if either I were either a naked astronaut or I had been prepared for some sort of surgical procedure. I had imagined, upon inspection, that its peculiar shape must afford the bather a high degree of comfort. I was wrong. Have you ever clambered into a vintage sports car and wondered how on earth anyone could have driven it round a race-track while being so cramped and so contorted? If so, you know something of this bath. I did not like it. Still, I did like my meal in the hotel’s smaller dining room, Le Petit Restaurant. Pink tablecloths, pink candles, Riedel glasses, canned Handel and a waiter in plus-fours. (It was explained to me later that he was, in fact, wearing the traditional local dress.) £30 was good value for Corrado Michelazzo’s seven course tasting menu. Porcini mushrooms, foie gras terrine, carrot and coriander risotto, black pudding ravioli, pigeon with figs, cheese and (the best course) hot apricot pie with chocolate sauce. If you like your chardonnays big, buttery and oaky, try (as I did) the local, Les Crètes (1999 - £27). The cellar is full of good bottles from Piedmont and Tuscany – with big names like Gaja – and also has offerings from the New World. Apart from the problem with my ablutions, I found all the Bellevue’s eccentricities utterly charming. If you are looking for somewhere quirky and a little different, you have found it. Via Gran Paradiso 22, 11012 Cogne, Italy.